Hand-churning is where it’s at with this ice cream. Taking things slow and investing a bit of elbow grease into your meal just seems to make things taste even better. 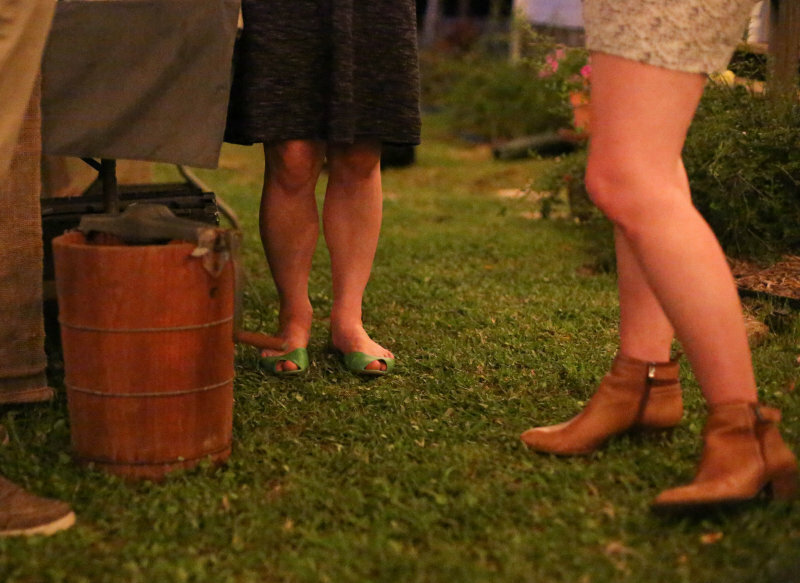 This special treat was served at our Farm Dinner this past weekend. If you missed out on this great dinner, it was loads of fun. Make sure you hit the next one! 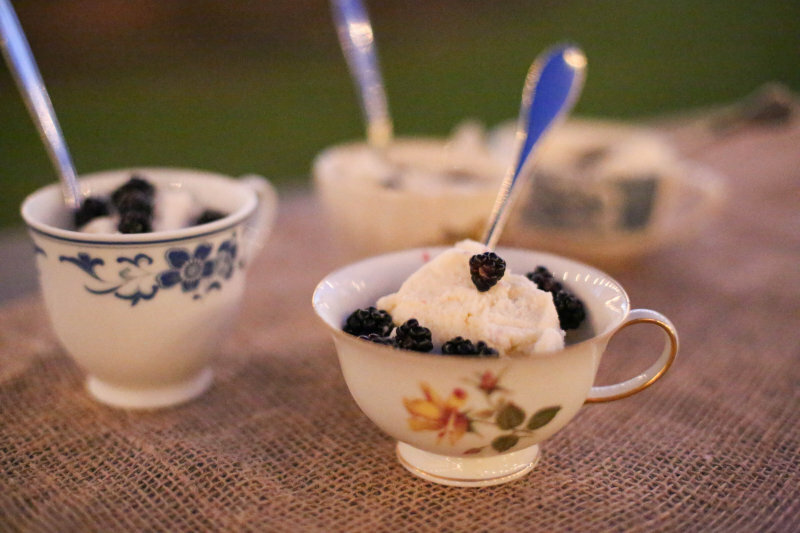 The simple, herb infused ice cream has so much room for creativity! Next time we’ll try basil and peach, or maybe cinnamon and black pepper. Served on a warm evening with fresh fruit or a drizzle of local honey, you can’t go wrong. 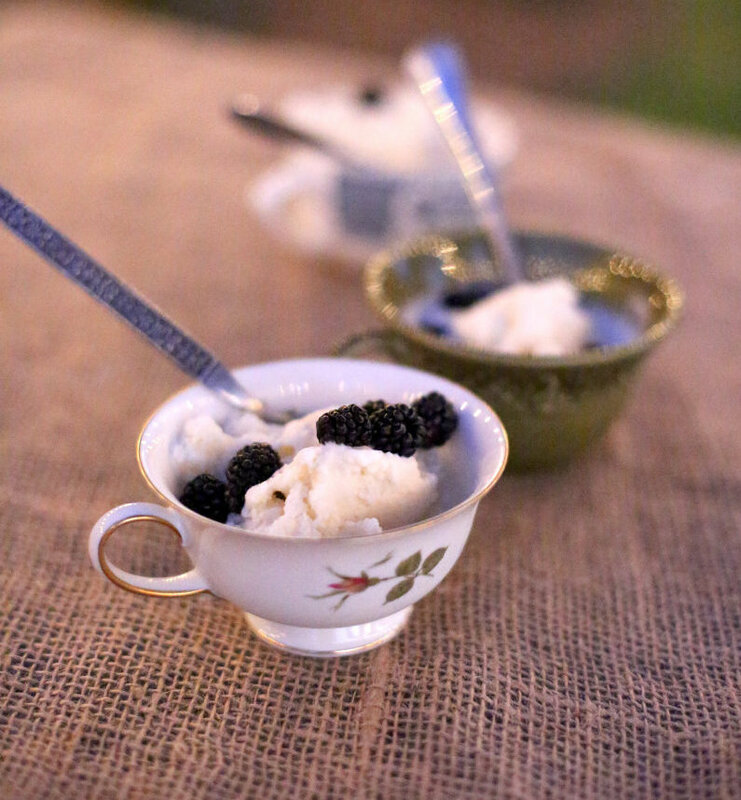 Three or four days prior to churning the ice cream, prepare a milk infusion with the herbs and milk. Wash the fresh herbs and bruise with the back of a spoon to release the volatile oils. In a large airtight container (I use an empty milk jug) place the herbs and cover with the milk and cream. Store in the fridge and shake a few times per day. Pour the milk infusion into a large bowl, catching the herbs with a strainer. In a large bowl, whisk together all the rest of the ingredients. Transfer to an ice-cream maker, and freeze. Transfer to an airtight container and freeze. Can be made a day ahead. Serve with fresh local fruit, or a drizzle of local honey.